Dallas-based WFAA8 has added Carla Wade from Oklahoma City's KOCO-TV to its anchor/reporter staff. Wade, who spent three years at KOCO, will be joining newcomer Jason Wheeler as co-anchor of WFAA8's Sunday night newscasts, news director Carolyn Mungo confirmed via email Friday. Wade also will be reporting four days a week, starting immediately. She'll begin anchoring "probably in mid-February," Mungo said. 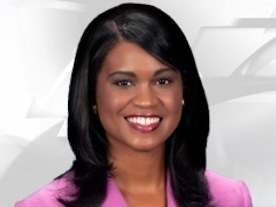 The University of Oklahoma broadcast journalism graduate previously was a weekend anchor at WTVQ-TV in Lexington, KY. Her first television reporting job was with KSWO-TV in Lawton, Oklahoma, according to her KOCO bio. Here's video of a recent live report by Wade for KOCO.